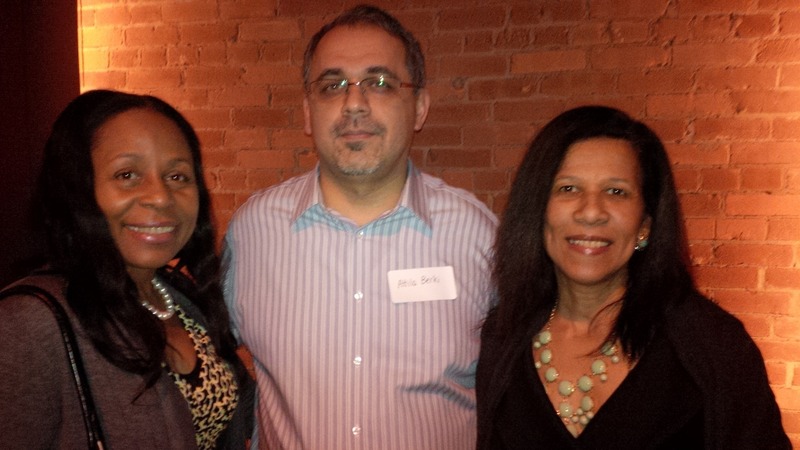 What’s an introvert like me doing at a party with famous authors? Feeling a bit lost among strangers, is what. The room is packed with authors – the very well-known and not-so-well known – from around the world. A quick look at the program book for the prestigious International Festival of Authors at Harbourfront in Toronto and you’ll see names like Margaret Atwood, Joseph Boyden and Margaret Drabble. 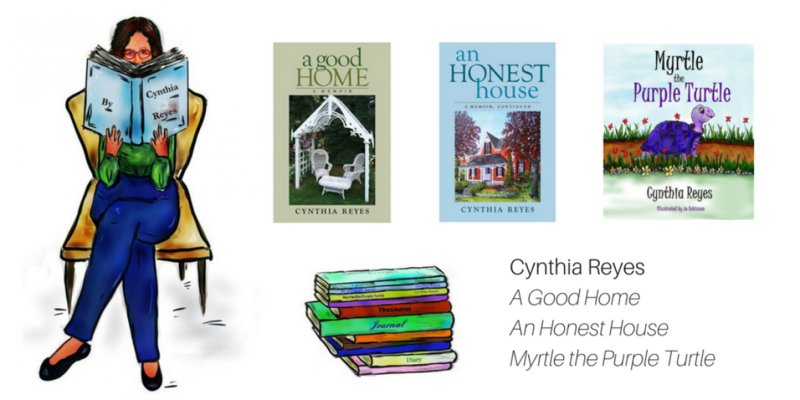 I, meanwhile, am new to this author thing: my book, “A Good Home” was only recently released. Hamlin Grange and Leonie McKnight-Copeland, a childhood friend visiting from Connecticut, are with me. 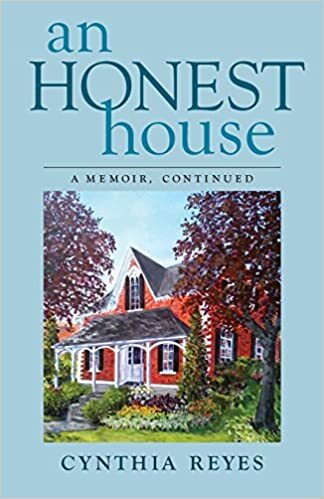 As usual, several people recognize Hamlin from his frequent appearances on CBC Television where he was a news anchor and journalist. But none of us knows anyone here. We join the line for appetizers and drinks. I use a cane and can’t manage it plus a plate and a glass, so Leonie and I head to a table in a connecting room while Hamlin goes back inside for the drinks. Finally, we return to the party. I once possessed the fine skill of mixing and mingling with strangers and celebrities at cocktail parties. I’ve been away from that world for such a long time since the accident, I’ve forgotten how; I’ve become an introvert. But my eye catches a young woman who looks as shy as me, and I go over to say a warm hello. Then I realize that there are other people with her, so I move on. My companions and I are glad to bump into a relaxed-looking man who greets us warmly. We spend several minutes chatting with him. He turns out to be Attila Berki, associate publisher of Quill and Quire magazine. He says that the young woman I approached was Eleanor Catton, the Canadian-born author whose book, The Luminaries, just won the Man Booker Prize. Feeling a bit foolish, I return and apologize to Eleanor for not having recognized her. The moment I say this, I know I’m wrong, and Eleanor corrects me gently. “New Zealand,” she says. “I know that”, I groan. But Eleanor smiles warmly at me. We part, with me feeling only slightly idiotic. And then it occurs to me that there’s a whole roomful of other authors who don’t know anyone else here either. I force myself to smile brightly and say hello to everyone I come across who looks a little lost. Each person smiles back warmly, almost with relief, it seems. Ironically, the only famous author whom I recognize is wearing someone else’s name tag. Going along with this little deception, I pretend not to notice. “You have to come say hello to Austin,” Hamlin says, returning to my side. 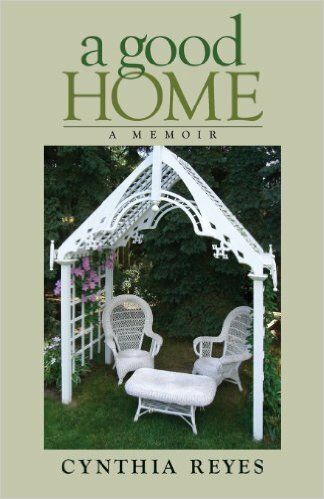 “He’s across the room.” I go off to see Austin Clarke, a huge smile on my face. Austin’s sitting in a dark corner. The winner of the Giller Prize and several other prestigious honours sits by himself on a black leather bench, looking regal yet removed. “Like a sort of eminence grise?” I tease him. “Or the lion of Judah,” he offers, laughing softly. I slip my arm through his and we laugh together companionably. I’ve known him for years. A man who works at Harbourfront approaches, bringing Austin a more comfortable chair. He almost-kneels, almost-reverently, to shake Austin’s hand. 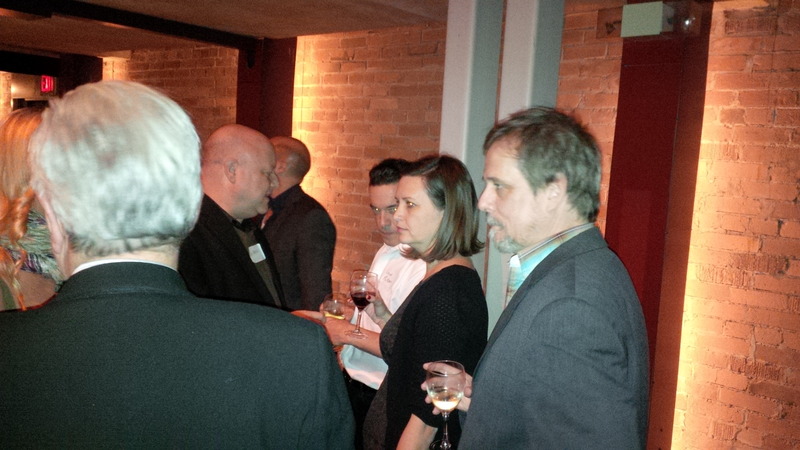 He’s a fan of Austin’s Giller-winning novel, The Polished Hoe, and he greets Austin as if meeting a head of state. Leonie and Hamlin join us to chat with Austin. 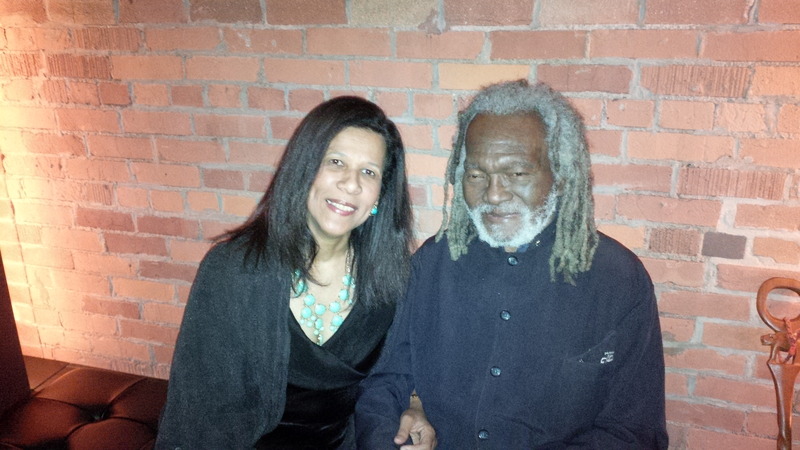 No-one else approaches us, and I realize that this roomful of mostly younger or foreign authors probably does not realize that this black man with the shoulder-length grey dreadlocks is Austin Clarke, one of Canada’s greatest. Hamlin, Leonie and I take turns giving Austin a goodbye hug. As we leave, we look around for Attila, to say thanks and goodbye. We don’t find him. 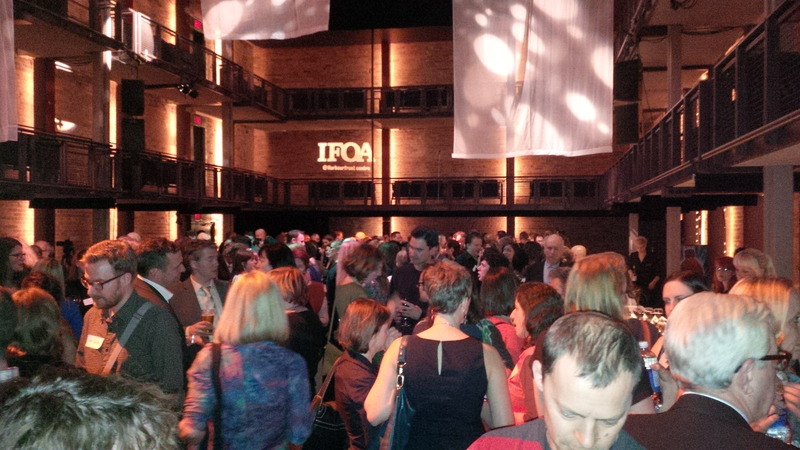 But it’s been a good evening, and – introvert though I am – I am grateful to Harbourfront and the IFOA for inviting us to take part. I loved this post, Cynthia! I can SO relate to your feelings at this event-the awkwardness of being at an event where you know few people but are expected to mingle. I expect that almost everyone there felt somewhat the same way but they might not necessarily have the courage to admit it like you just did! I loved how you ‘turned it around’ and started smiling at the other seemingly-lost souls to help make them feel more comfortable. And it was very cool that you already had a dear friend in Austin Clarke to connect with. I must say, though, that I bet that while you were milling about with the other authors that even if you were feeling a bit ‘introverted’ all that came through you was your lovely warmth and kindness. I also must say that as a lover of writers in general, it was also pretty neat to read your ‘birds-eye-view’ of this cool event ‘-) Thanks for sharing! What a lovely response, Jacqui – you zeroed in on how I felt, for sure. And I hope you’re right about the other stuff about warmth and kindness. (smile) But hey – I’m just trying to keep up with your own very interesting blog! Though with your blog title (“Pigs and Ukeleles”) you’ve got me beat! !